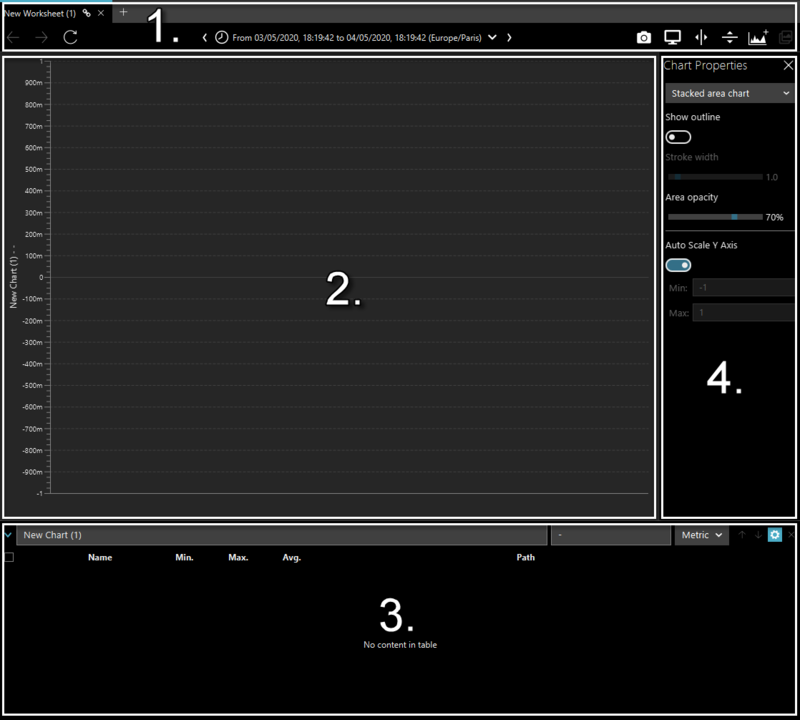 The landing screen for binjr is composed of three main parts from left to right; the menu bar, which hosts icons for all of the main user interactions, the “source” pane where available time-series are displayed, and the “worksheet” pane where data representation and navigation takes place. You can expand the menu bar by clicking the “menu” icon to reveal label for menu items. Click the icon again to hide the label and collapse the menu bar. A “source” is a link to the data provider for the time-series you’ll be manipulating with binjr. Fill in the desired URL, time zone and type of view filter to open the source. 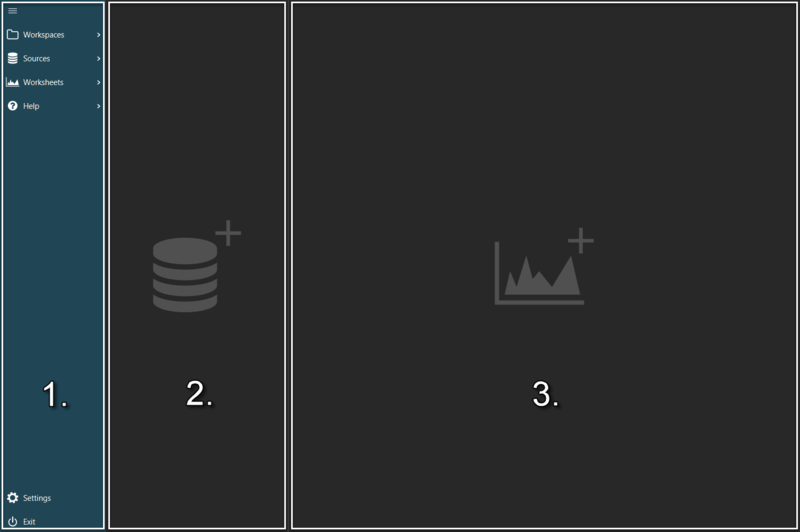 A “worksheet” is where you’ll be adding from various sources the time-series you want to visualize. Similarly to sources, clicking on the background chart icon on an empty pane or on the “+” tab, will also invoke the new worksheet dialog. A name for the worksheet.